David Caplan November 3, 2018 at 7:58 amA pair of 12" diameter trees down across the double track about .5 miles below the Swede shelter. I was able to crawl under, but not easy to get around. 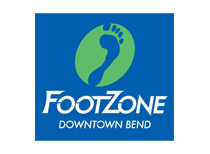 Rod Bien May 7, 2018 at 8:00 pmPretty much clear. A few snow patches on the road but otherwise clear all the way to the shelter. I was surprised! Ryan Pedersen April 25, 2018 at 5:53 amAll clear of deadfall up to the road now. Brian Coop April 24, 2018 at 5:28 pmThe snow on the road isn't melting very fast even with the warm temps. Mornings the end of the week into this weekend could probably be ridden on a fat bike crust cruising. Up to the intersection with the road, though it's in great shape. Ryan Pedersen April 23, 2018 at 7:35 pmA few ice/snow spots left but mostly mud free. Cleared 3 small trees with my folding saw but there is a monster up top just before the lookout point (~3ft diameter). Decent ride around in place at least. Turned around ~1/4 mile into the fire road where the snow gets deeper. Dylan Moore April 13, 2018 at 8:01 pmHiked the lower half this evening. Still some packed snow covered spots down low, along with some muddy areas, but up above was completely dry. 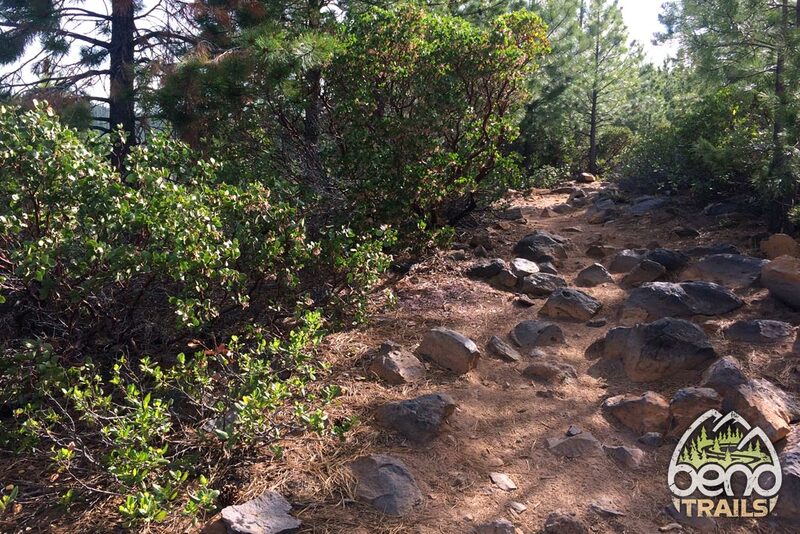 Tumalo Ridge Trail runs from Skyliner trailhead to Swede Ridge shelter. It starts at Skyliner Sno Park, and heads up Tumalo Ridge via a series of switchbacks to a nice overlook on the East end of the ridge. 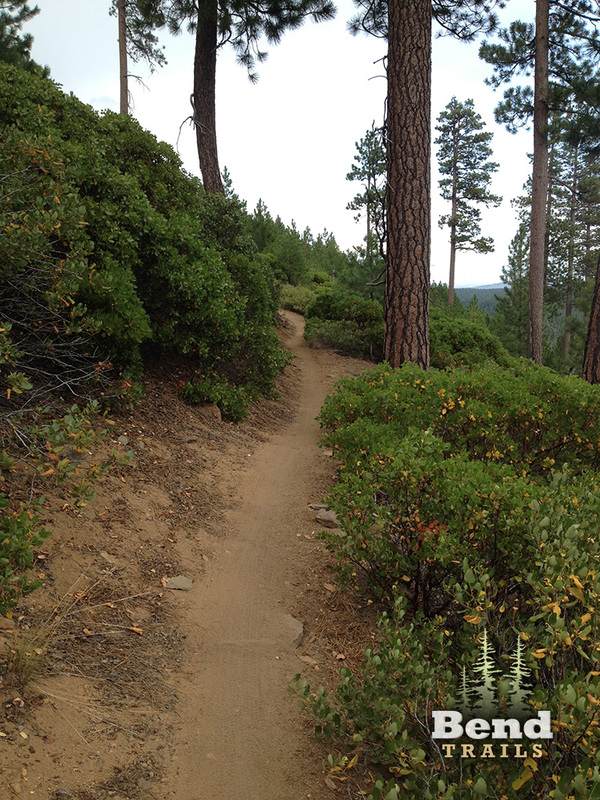 This is a beautiful trail, with great views and a steep side-slope. Once at the top of the ridge at the East end, things get a fairly technical starting with a very rocky 180 degree turn around edge of the ridge. Next you’ll hit a series of back to back, steep, rocky climbs that test your endurance and low speed bike handling skills. 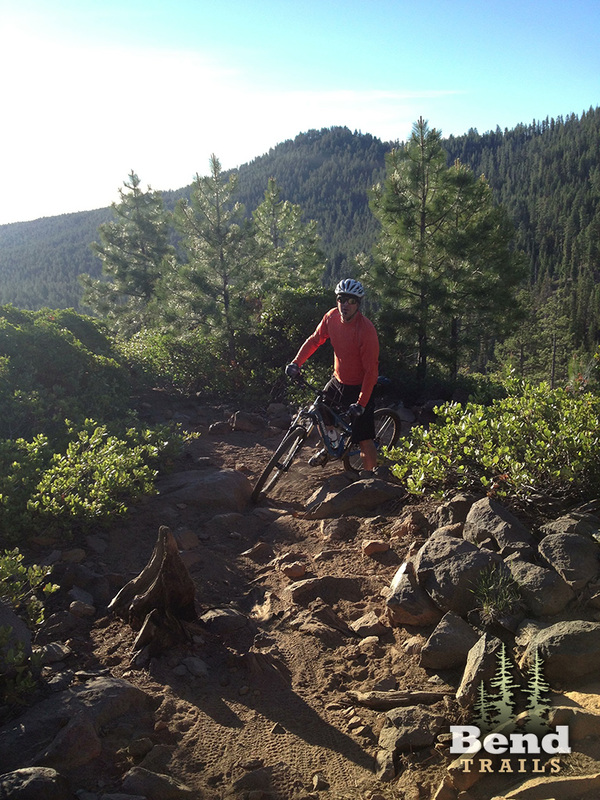 Eventually the trail levels off and opens up to a few nice views of the Cascade Range. 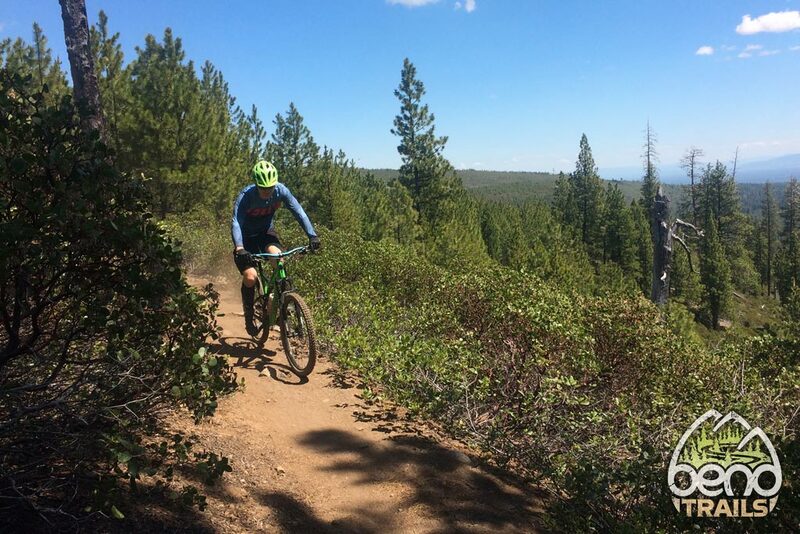 The trail soon spits you out on a fire road climb which takes you up to Swede Shelter. The Shelter is hard to see, so be mindful of some trails off to the left of the road at the intersection of the Sector 16, Swede Ridge and SST trails. 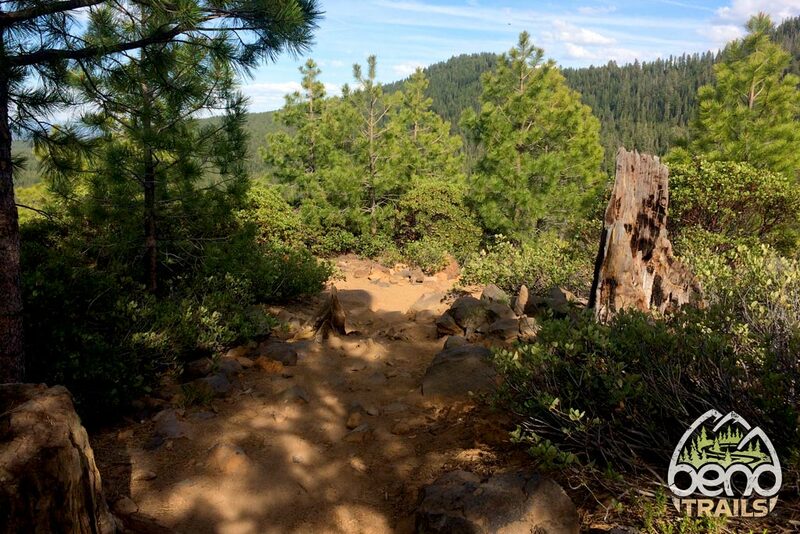 A favorite local’s loop is up Tumalo Ridge, over on Swede Ridge, down Southfork and back on Tumalo Creek Trail. A pair of 12″ diameter trees down across the double track about .5 miles below the Swede shelter. I was able to crawl under, but not easy to get around. Pretty much clear. A few snow patches on the road but otherwise clear all the way to the shelter. I was surprised! All clear of deadfall up to the road now. The snow on the road isn’t melting very fast even with the warm temps. 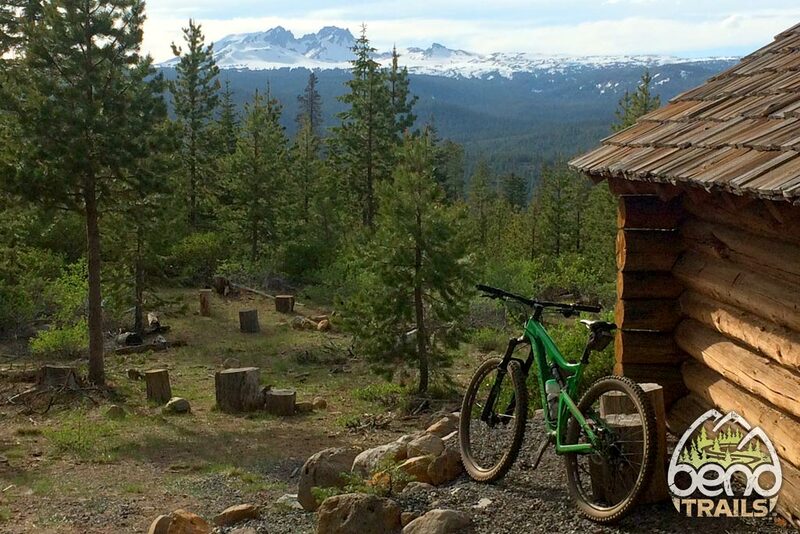 Mornings the end of the week into this weekend could probably be ridden on a fat bike crust cruising. Up to the intersection with the road, though it’s in great shape. A few ice/snow spots left but mostly mud free. Cleared 3 small trees with my folding saw but there is a monster up top just before the lookout point (~3ft diameter). Decent ride around in place at least. Turned around ~1/4 mile into the fire road where the snow gets deeper. Hiked the lower half this evening. Still some packed snow covered spots down low, along with some muddy areas, but up above was completely dry. Lots of ice near Skyliners sno park, then gets better the higher you go. It seems to stay frozen if overnight temps were freezing. 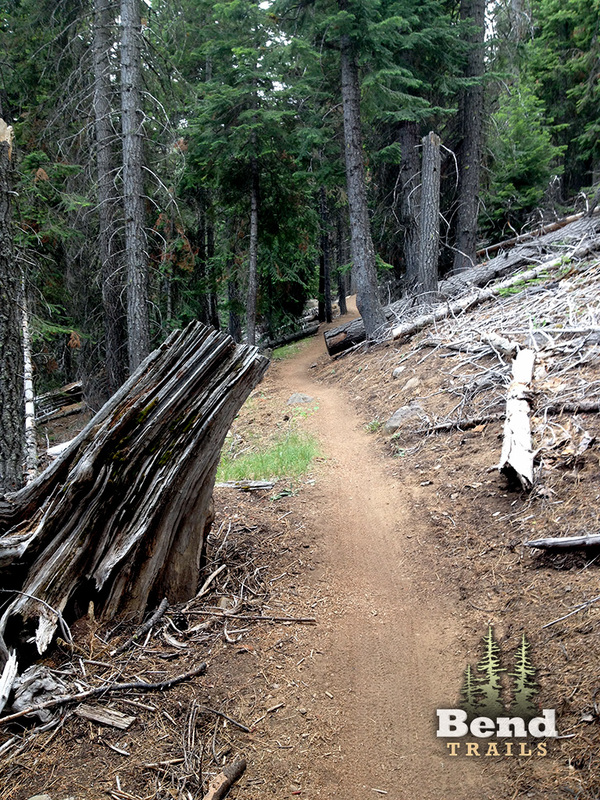 Ten trees down across the trail: three on the singletrack above the switchbacks and six on the twin-track. Excellent dirt. Correction: seven trees across the twin-track. 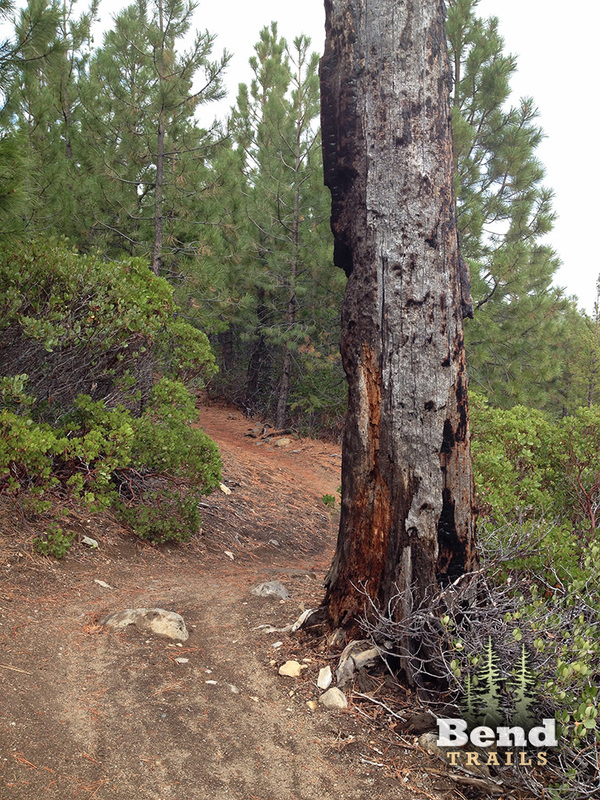 One big (20″) tree down almost at the TH where the trail parallels the road to Tumalo Lake. Still wacking Snowbrush, but some has been defoliated. I assume by caterpillars. No snow or mud all the way to Swede Shelter. The Snowbush has reached across on the downhill to the fire road. Single track sections 100% good to go! Large patches of snow still on the fire road would make ascending annoying, but are okay on the descent. Lots of LARGE puddles on the fire road as well. Continuous, deep, sticky snow around 5300′. Hopefully this next warm snap melts it off a little bit. 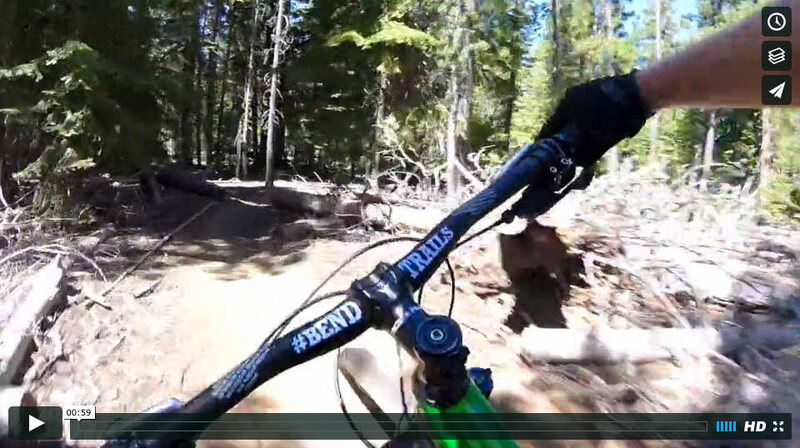 Is this trail open right now? I went to ride it today and there’s a sign from the USFS detouring you away from it, it didn’t say closed just said detour pointing you to the tumalo creek trail. It’s open. The sign was originally part of a detour around the missing bridge on the Tumalo Creek trail. Seems that everyone is just walking across the creek and ignoring the detour anyway. Thanks, it had me a bit confused. FWIW, there’s an aggressive sage grouse that apparently has nested too close to the trail. She made her presence known to me yesterday about 20 yds before the first lower switchback and kept up her chase until I got to the second switchback. Be careful! Whew…glad it’s not just me! Riding well and somewhat getting dusty on south facing slope. Bushes in sections Need some major trimming. Thanks to Bill; trail is riding well and no deadfall. I cleared 10 more trees. It’s all rideable to the shelter now but is still in need of some work. I cleared about 10 trees. There are still several left. It is in need of some housekeeping as sections have become overgrown and there’s a lot of trail debris. Still the same. Singletrack is clear of snow and downfall. The doubletrack has at least a dozen downed trees and just a couple of avoidable snow patches. Trail is good, but you do have to navigate minor deadfall. There is a little snow, but not much. I did not continue past shelter. Where were the deadfall located? 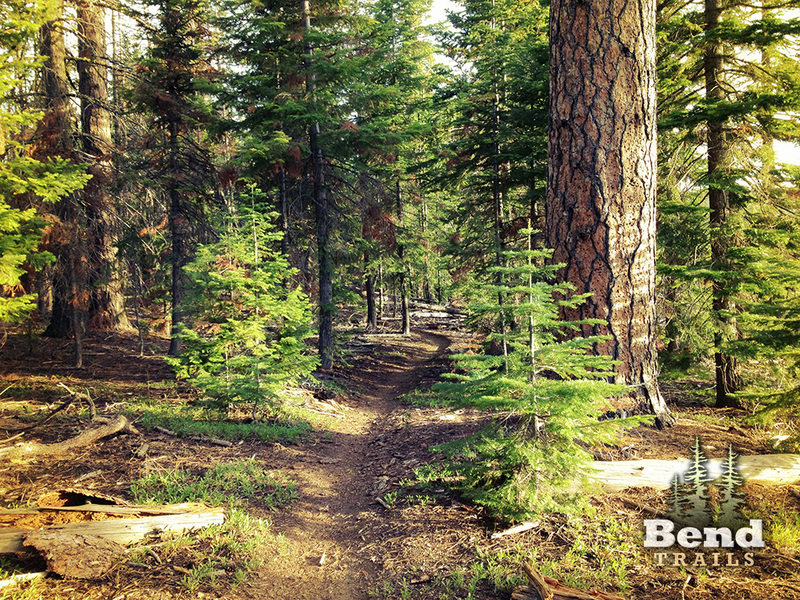 On the singletrack or the doubletrack?